Wanna have some free Oasis juice? If you are big on cereals, then don't throw the box away. See the details right here. 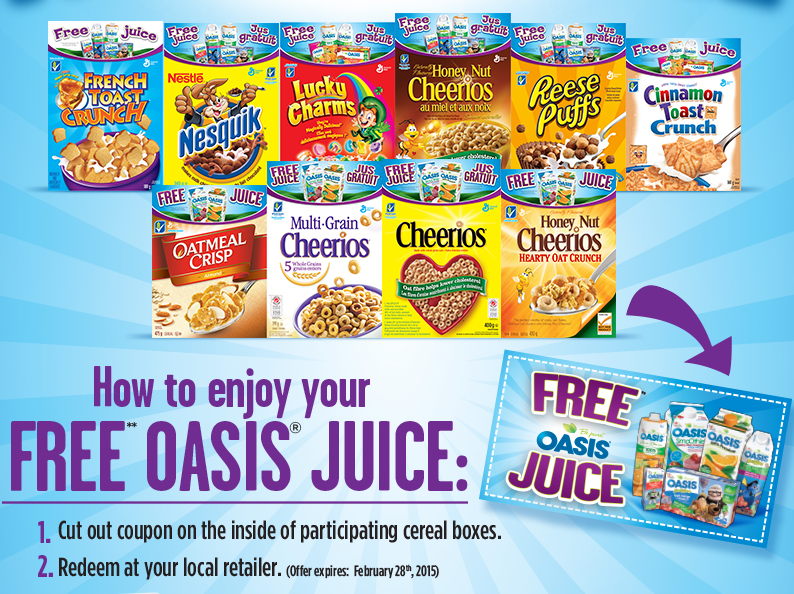 First, look for the mention of the free Oasis juice coupon on the box of your preferred cereal (Cheerios, Nesquik, Lucky Charms). Second, look inside the box of these participating products (see the image below) and cut the coupon out. Third, redeem the coupon at your local retailer. Easy, breezy! The offer expires on February 28, 2015. The details of the offer are available here.